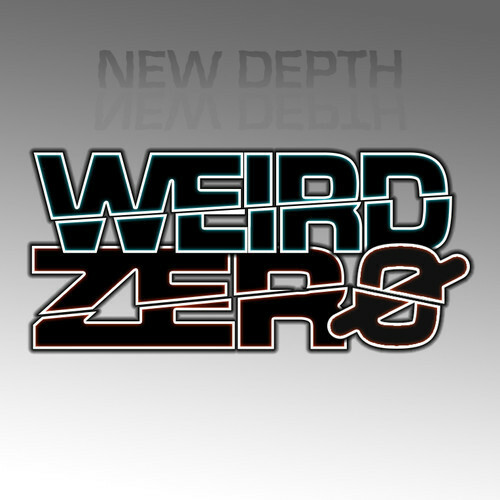 Jules Jenssen of The Indobox and DJ Ian Stewart recently came together to form Weird Zero, and their debut EP is available now! If you live in MA and you’re into the electronic jamband wave, then you’ve probably heard of Jules Jenssen. Years ago he formed a three piece band called Higher Organix, based out of Great Barrington, MA. Starting as a local outlet for the hillside “jamtronica” fans to get their kicks, HoX themselves got more involved in not only bringing their music to like minds in the community, but also became an intergal part in bringing more acts, and better events to the home front. Their skills in promotion, and the help of others got acts like Ott [Twisted Records] to play our county. Jules and Higher Organix are also directly involved with the development of the Let It Roll music festival, which eventually became the short-lived, but heavily praised and greatly missed Big Up music festival, both located just outside of MA, in Eastern New York State. Unlike most festivals which evolve over the years, The Big Up came out swinging with it’s initial lineup. Ian Stewart was right there next to him. For several years he has been bringing his heavy house vibe to hillside parties, including the previous festivals. He’s shared the bill at most of the events these two have helped to create. Jules has acknowledged him as mentor is his musical journey as well, which speaks greatly upon his own abilities. Jules’ talent echoes far beyond the blue hills of Western MA, Eastern NY. 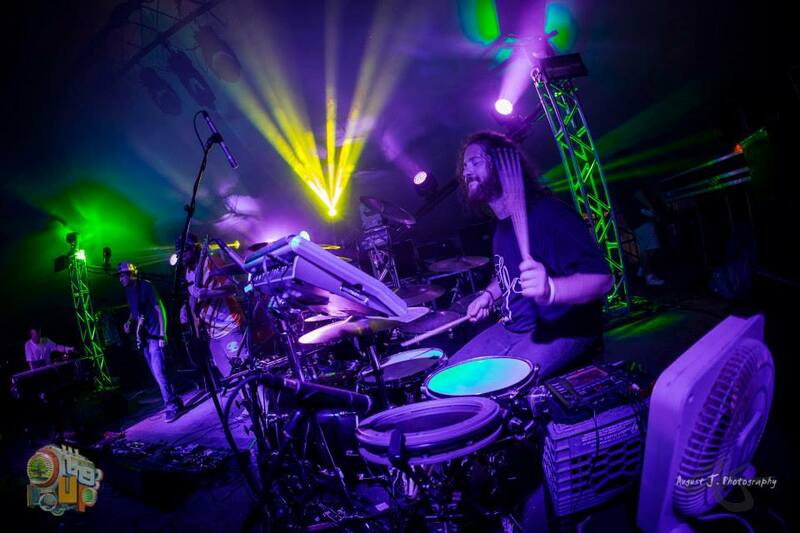 Although a founding member of Higher Organix, he has since moved on become to full time drummer for Boston-based electronic jamband, The Indobox. Like Mr. Jenssen here, this band quickly escalated from local stardom to full touring status and mass appeal in the northeastern jam community. Since joining, their fanbase has increased immensely, and their tour presence with it. There’s a noticeable difference in the group’s overall style; they’re bringing more definition to their sound, and much harder dance grooves to both their studio work and live imrov. You can check out some of the material off their last album ‘Shapes and Colors’ here, or below! Recently Jules suffered from a slipped disc in his back, which forced him to endure a surgery procedure that put him out of commission for a bit. The little black cloud hovering over his drum kit turned into a full fledged thunder storm when the original wound got infected, resulting in two additional surgeries and even more time from his passions. As a drummer, this is a nightmare come true. This kid won’t get taken down by a few minor back surgeries though(please not our sarcasm), there’s a beast inside this boy. Full recovery will be a slow burn, but he’ll be back on the kit before you know it. That will make his fans happy, which is a surprisingly large group of people, all who have shown overwhelming support. We wouldn’t mind hearing more beats like this EP he and Stewart just released! JJ got off the stool and into the studio with long-time friend Ian Stewart, collaborating as Weird Zero. Just two weeks ago the newly formed duo released their debut EP ”The New Depth‘. No stranger to the studio, along with The Indobox and HoX, Jenssen has also toured under the moniker ELECTRONICAnonymous. Strike that all from the record though, we have an entirely new specimen on our hands. The EP opens up with the titular track “New Depth” and it gets right to the point. Heavy industrial synths come at you in a slow, repeating assault, and they keep coming for the duration of the song. The second track follows in the same fashion, only carrying on with a gentle melody that eventually wraps into a dark, disco laced culmination. The gritty, low distortion, and heavy weight behind these bass synths, almost sound like the dark and down low style of Soulwax, but with more colorful textures similar to Cinnamon Chasers, or Abakus. In the vein of those musician’s works, these rhythms crawl up your spine and throw your body into motion. It’s becoming more clear why Jules slipped that disc in his back I think. The third track “The Altar”, is a haunting “deer in the headlights” tune, you can’t get away from it. Saylor’s vocal contributions resemble closely to Adelle, if she were singing in the neon rooms of UK disco clubs. The four tracks roll into each beautifully. The EP starts off with such intensity, but as it progresses each track gradually gets more a bit more melodic than the last. This was likely deliberate, regardless the payoff was the same. When you’re dealing with a group of songs that share similar themes, the arrangement can add so so much to the story being told. Finally it ends with “Dock Monster”, which is down tempo tribal mind-bender that slowly develops into, well, a monster really. Ian Stewart is likely responsible for the fresh housey kick to these beats, and they certainly kick. We don’t get much in these parts for house music, but Stewart has always shared his refined tastes with the crowds both local and distant. Over the years both parties have shown skills in various live formats, and now they’ve brought a nice little electronic release, new and hungry for your speakers. The entire EP was recorded and produced by Ian Stewart and Jules Jenssen themselves. We’re proud these local musicians have come to achieve so much, but then again, everyone has to come from somewhere right? Listen to it below, and try to catch them both at a gig near you!